Home > Uncategorized > Denton celebrates Oktoberfest on Fry St.
Denton celebrates Oktoberfest on Fry St. In the year 1810, the Crown Prince of Bavaria, Germany was married to Therese of Saxony- Hildburghausen on Oct. 12. According to history.com (sponsored by the History Channel), Prince Ludwig had a celebration held in honor of his matrimony on the fields outside the city with much merrymaking activity. 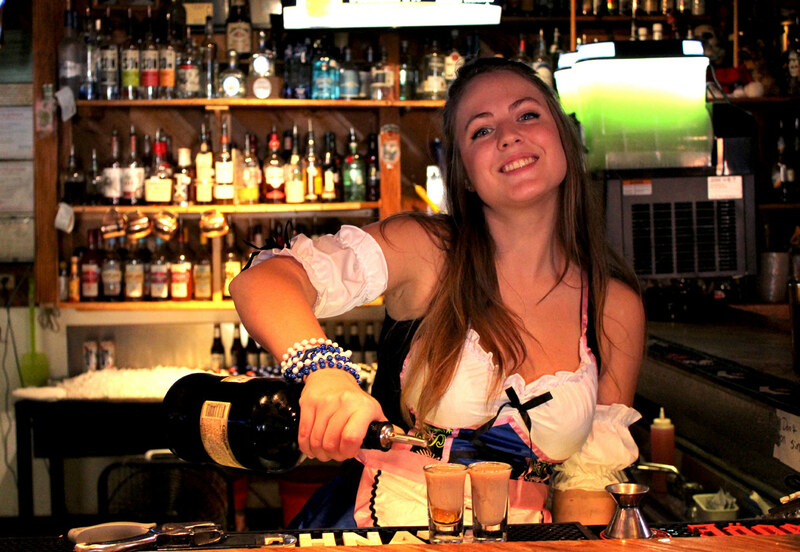 Long story short — the world now has the Oktoberfest tradition. 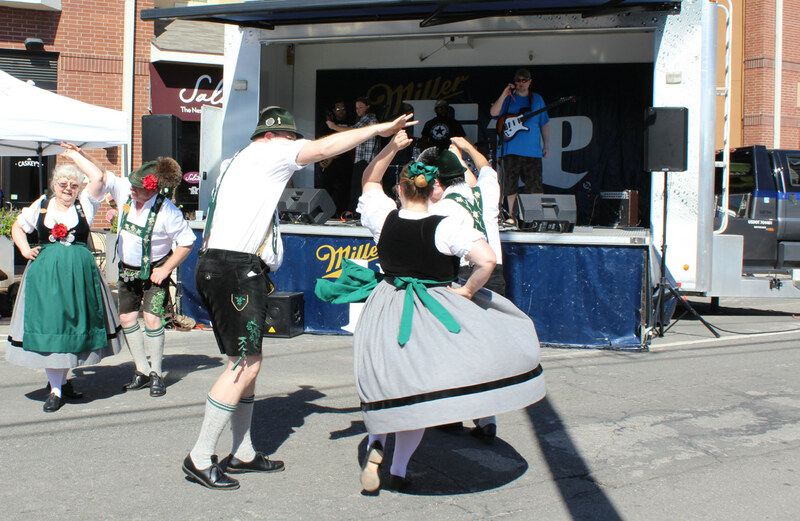 Oktoberfest is celebrated primarily in Munich, but has since trickled down into many areas of the U.S., thanks to the pioneering ancestors of America. 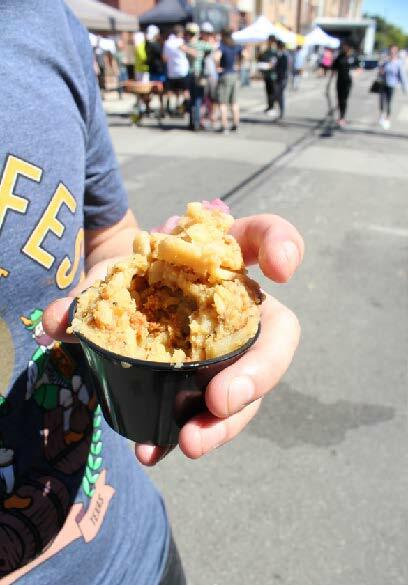 Denton hosted its own version of the celebration on Fry St. for the tenth year in a row this past Sat., Oct. 8. Not unlike many other events in Denton — there was drinking and music involved. However, there is a twist. The past two years, Oktoberfest has also hosted a charity run sponsored by the organization Friends with Benefits Denton. The recipients this year were The Koan School and Denton Community Food Center. Participants were encouraged to dress-up for the costume contest following the 5k Fun Run award announcements at 11:30 a.m. It was not shocking to see a variety of characters wearing everything from full-on lederhosen and dirndl to an apron with a faux costume pictured on the front. The signature Fry St. bars Riprocks, Lucky Lou’s and Cool Beans co-hosted the event, many of their bartenders and employees dressing up for the occasion. Once registered for Oktoberfest, Dentonites received a t-shirt and a stamp card. The stamp card would allow the holder to get three Oktoberfest beers — one from each location. Any extra drinks were out-of-pocket, unless you were lucky enough to find a vendor trying to get rid of some beer. In-between DJ sets and performances by local musicians, the Texanischer Schuhplattler Verein D’Holzar club demonstrated traditional Bavarian dance sets with male and female partners. Also called the T.S.V. D’Holzar, the club is completely volunteer based and members travel around the DFW area to perform, according their main website tsvallgau.org. 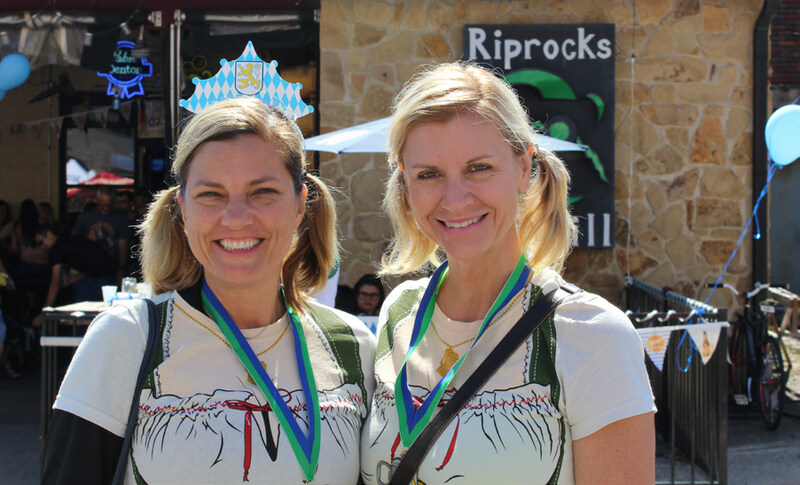 Dentonites enjoy participating in charity run, traditional Bavarian dancing, costume contest and stein hasting competition in celebration of Oktoberfest. Without needing much excuse to drink on a Saturday afternoon, the bars filled up quickly before the first stein hoisting contest at Riprocks. The allaboutsamadams.com website described stein hoisting contests: “Competitors are required to hoist a one-liter glass…with a straight arm, for as long as possible. If you sip, spill, or bend your arm, you’re out!” Male and female contestants were separated with the winner receiving the stein as a prize. Just for experiences sake, future 21-year-olds and up might keep the Denton Oktoberfest in mind for next year. With a small-town atmosphere and a community unlike any other, it’s impossible to not join in on the festivities. Bonus? You do not have to worry about walking to your car or home in the dark.